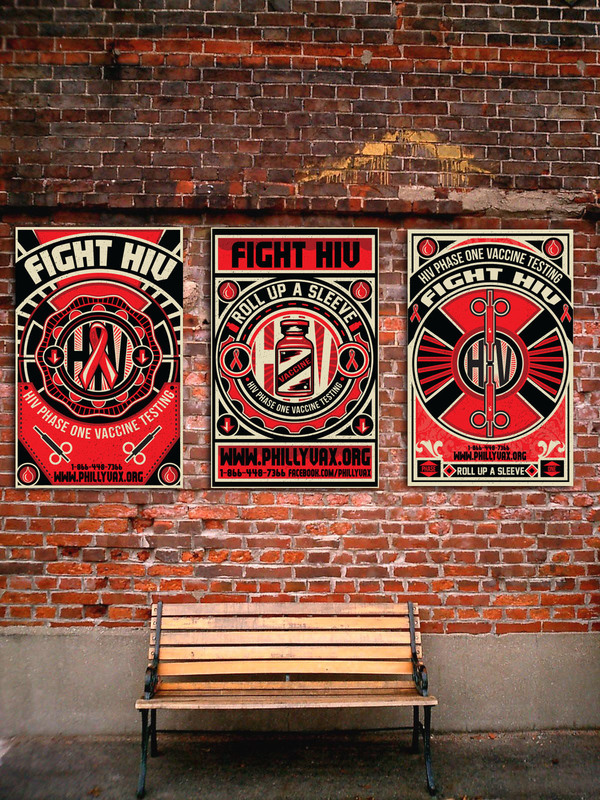 A set of new era designed posters to help get younger people involved in finding a vaccine for the HIV virus. 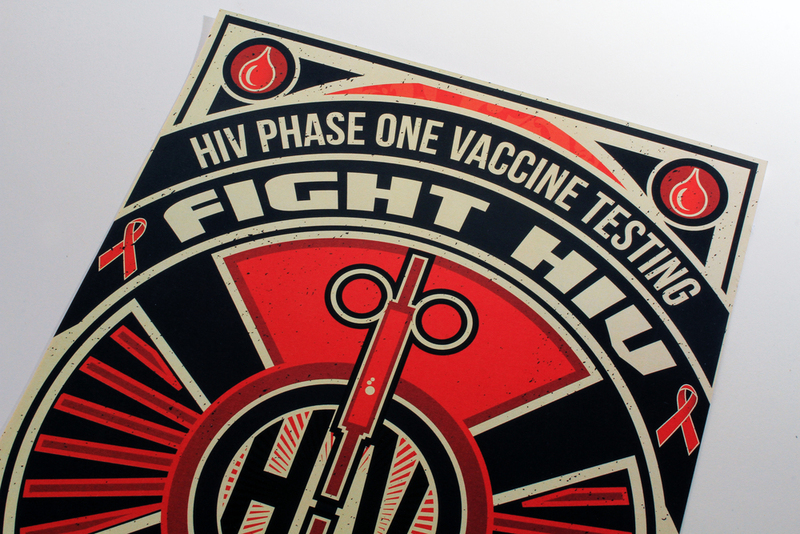 Each poster has a certain constructivist feel to show the fight against the virus and the help to stop it. The bright red, also the designated color for the virus, grabs the attention of the viewer when walking by and tempts them to read the poster and later discover the message behind it. Each poster has a call to action and has contact information for the viewer.